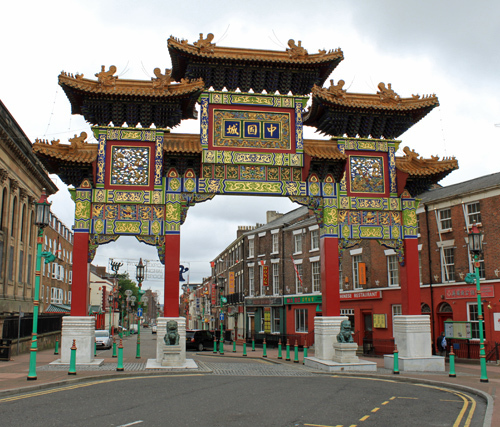 The ornamental gate to Chinatown, Liverpool on Nelson Street. Unfortunately the dramatic sky doesn’t really show up as well as I’d hoped in the photograph but it does frame the top of the gate nicely. The arch is the largest of its kind outside of China.